York-based ice cream producer Yorvale has launched a new range for holidaymakers with diabetes. People on a low-sugar diet can enjoy the chocolate, strawberry and vanilla-pod ice creams on cruise ships and in hotels as part of a deal between Yorvale and a holiday firm. But holidaymakers with diabetes should also make sure they have taken out a comprehensive medical travel insurance policy to cover themselves for illness for the duration of their break. 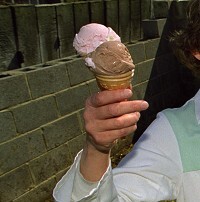 The firm said the ice cream range had been designed for people with diabetes across the country. Yorvale's product development manager Lesley Buxton said the firm "spent months perfecting the recipe as it was important to us that it tasted as good as our mainstream flavours". She added: "We were able to achieve this by using the natural sugars fructose and polydextrose instead of saccharin, that often gives an unpleasant after taste." Yorvale said it uses traditional methods and local ingredients to produce its ice cream.